When you are cited for a traffic violation – even without the complications of drug or alcohol involvement – you are looking at traffic fines, a restricted, suspended, or revoked license, higher insurance rates, and in some cases even a jail sentence. A lot can be at stake, including your resources, your freedom, and your future. You may think you can handle a speeding ticket or any other type of traffic ticket on your own, but it’s best to seek the help of a criminal defense attorney. 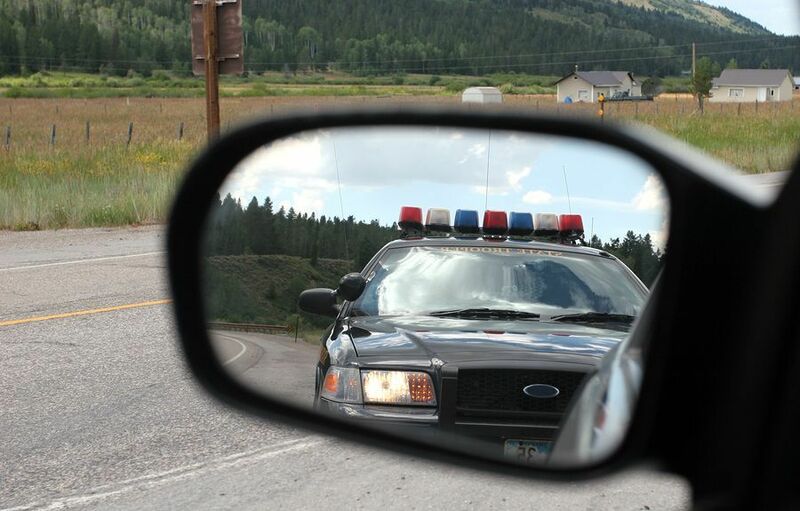 If you are cited for a traffic violation in the Denver area, discuss your case right away with Dan Murphy, an experienced Denver traffic offense attorney. In Colorado, a driver can only accumulate a maximum number of points on his or her driver’s license before the license is suspended. If a driver 21 or older receives 12 or more points in a 12-month period or 18 or more points in a 24-month period, his or her license is automatically suspended. (For drivers under 21, fewer points are allowed.) That’s a good reason to fight any traffic citation; a conviction and points are not automatic, but you’ll need the services and skills of a good Denver traffic offense attorney. If you are a Colorado motorist, you are more likely than not to have used a cell phone either for texting or having a conversation while driving at least once over the past year. However, there are transportation laws related to the use of electronic communication devices while driving, and penalties will apply if these laws are violated. Since 2009, the State of Colorado has made it illegal for drivers below the age of 18 to use cell phones and other electronic communication devices while driving. That law went into effect on December 1, 2009 and specifically prohibits drivers below the age of 18 from using a cell phone while driving unless it is to call for help in the event of an emergency. Under that law, motorists above the age of 18 are also not allowed to use a cell phone or mobile phone for text messaging purposes, unless they’re using the cell phone during an emergency. Those emergency situations could include calling the fire department or police department to report a fire, a traffic accident, any kind of incident where there is a serious risk of a criminal act against another person, a medical or hazardous material situation, a dangerous road hazard, or to report a person who is driving under the influence of alcohol or driving recklessly or in any other manner that affects the safety of other motorists on the road. For an adult motorist in Colorado, the law specifically bans texting while driving and that includes not just the actual process of typing a text message, but also reading a text message. It also includes using your smartphone for other purposes. For instance, many motorists use their time behind the wheel to update their Facebook status, or their status on Twitter. Both of those activities would fall under the purview of this law. Even using e-mail services on your smartphone would be covered. If you are caught texting while driving behind the wheel, you could be punished with a fine. Penalties can begin with $50 for a first offense, and extend to up to $100 for multiple offenses. What makes these cell phone while driving laws even more stringent in the state of Colorado is that these are being enforced as primary enforcement laws. That means that a police officer does not need a reason to pull you over if he sees you texting at the wheel. He can pull you over for texting while driving, and does not need to pull you over for another driving infraction before he cites you for texting while driving. If you are dealing with any penalties for distracted driving, it’s imperative to contact Denver traffic offense attorney Daniel M. Murphy as soon as you have received the ticket. Experienced Denver County DUI attorneys like Dan Murphy can provide you with legal advice and representation to help you navigate through the often confusing court system. The Colorado Department of Motor Vehicles (DMV) can severely punish a person, who accumulates a number of serious traffic offenses on his record by designated him as a Habitual Traffic Offender. Many persons in Colorado continue to remain unaware of how easy it is for them to be designated as a Habitual Traffic Offender. For instance, if you have had your license suspended for minor offenses, and continue to drive even under a suspended license, you could have a sufficient number of license suspensions on your record to be designated as a Habitual Traffic Offender. Not every traffic offense will make you eligible for Habitual Traffic Offender designation. However, if you have been convicted for DUI, or DWAI, or reckless driving, or driving under a suspended or revoked license, you may find yourself being designated a Habitual Traffic Offender. Persons, who have been involved in accidents, and have been convicted of vehicular assault or homicide, may also find that they qualify for this designation. Over a period of seven years, if you have accumulated at least three convictions for these violations, you could find yourself designated as a Habitual Traffic Offender. If you are designated a Habitual Traffic Offender, you could actually lose your license for as many as five years. If you are dealing with any major traffic offenses, or if you’re currently at risk for a license revocation in the city of Denver, it’s imperative to contact Denver DUI attorney Daniel M. Murphy right away and obtain the best legal services available. Daniel M. Murphy knows Denver’s convoluted traffic laws inside and out, so Dan can defend you on any traffic-related charge. He has successfully represented scores of people just like you, charged with a traffic violation. For 19 years, Denver’s traffic offense attorney Dan Murphy has defended clients charged with hit and run, habitual traffic offenses, vehicular assault, vehicular homicide, and various other traffic violations including careless driving, and speeding traffic tickets,. Some of these cases are extremely serious; in other cases, it may be possible to have your court appearance waived and have the whole matter easily resolved. As your Colorado traffic attorney, Dan Murphy will explain the charges, the options, and the possible results. Traffic ticket attorney Dan Murphy will always fight vigorously for your rights and for the best possible outcome to your traffic case. Major traffic offenses are treated seriously by the State of Colorado, and under Colorado’s Habitual Traffic Offender (HTO) law, piling up major traffic offenses may result in a lengthy driver’s license suspension. Major traffic offenses include DUI, DWAI, DUID, reckless driving, vehicular assault or homicide, aggravated motor vehicle theft, driving under a license revocation or suspension, and leaving the scene of an accident involving death or injury. When a driver receives three or more major traffic offense convictions in a 7-year period, he or she will face a 5-year license revocation. If you are dealing with any major traffic offenses, or if you’re currently at risk for a license revocation, it’s imperative to contact Denver traffic offense attorney Daniel M. Murphy right away and obtain the best legal services available. 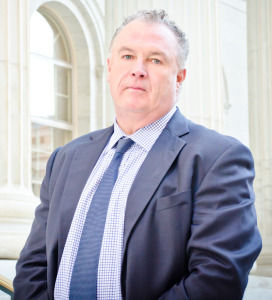 Dan Murphy is an experienced, compassionate, and knowledgeable Denver traffic offense attorney. From your initial free consultation to the resolution of your traffic issue, Dan will fight to resolve your charges quickly so that you can get on with your life. Please schedule a free consultation with, Denver traffic offense attorney, Dan Murphy at his downtown Denver office by filling out the form on this website or by calling 303-996-8998. His law office is conveniently located on East 7th Avenue, two blocks east of Broadway. Free parking is always available, and payment plans are available for legal services.